I am honored and excited to teach with the brilliant Kelli Barnett. Kelli is an amazing teacher. She is inspiring and she will guide you through a flow that can unlock more beauty and potential inside of you. 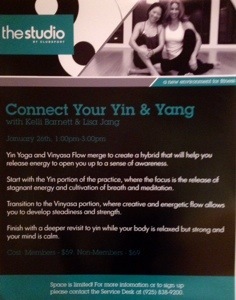 I will lead the Yin portion and guide you to find harmony in your qi. Members and Non members are welcomed. RSVP today! Space is limited. It was a wonderful event and I encourage you to pursue this style of class!